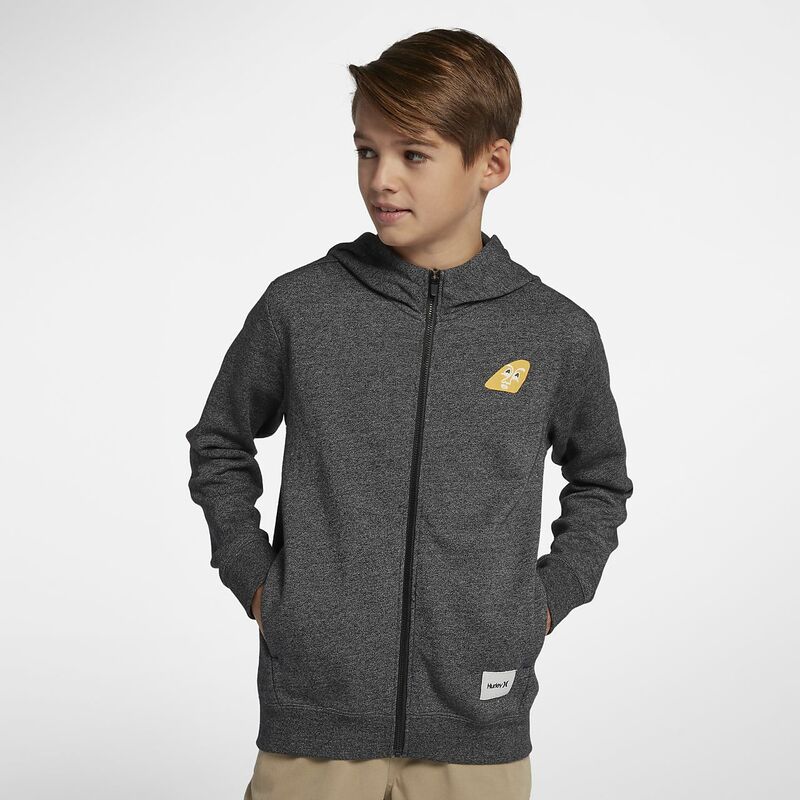 The Hurley Crone Fin Boys' Full-Zip Hoodie delivers dependable warmth with fleece fabric and a colourful graphic for stand-out style. The Hurley Crone Fin Boys&apos; Full-Zip Hoodie delivers dependable warmth with fleece fabric and a colourful graphic for stand-out style. Drawcord at the hood adjusts the fit. Have your say. Be the first to review the Hurley Crone Fin.